Nails can become a source of pain if not managed. 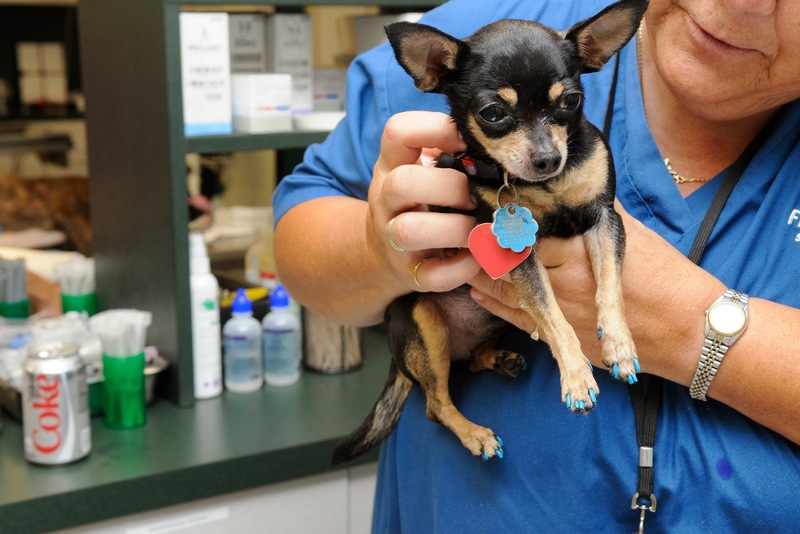 (I met this little dog in the US, and yep someone had painted her nails). If you’ve not suffered the displeasure of an ingrown toenail before, those who’ve had one can tell you of the seemingly disproportionate pain. Weight bearing, touching or even the vibrations through the ground of someone standing near the affected toe can be excruciating. 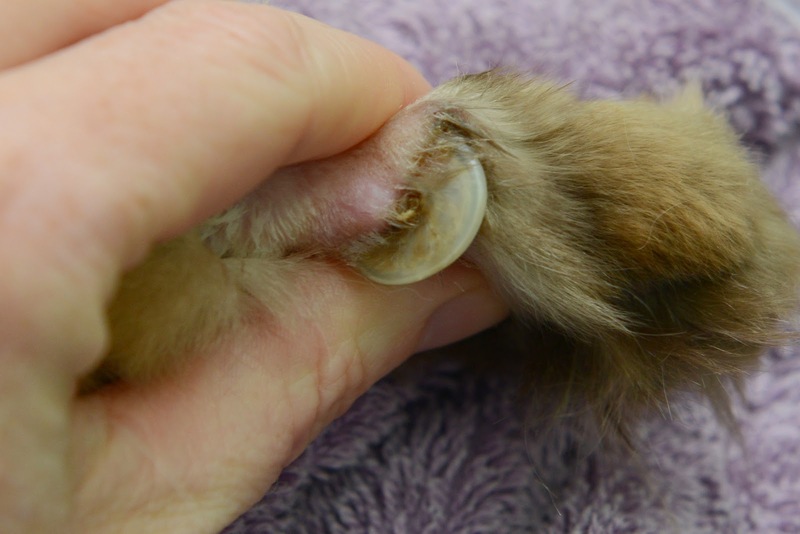 We see ingrown toenails in senior pets, most commonly cats but I do see them in dogs and increasingly in guinea pigs. The aetiology is somewhat different to human ingrown toenails but the impact is the same – it causes discomfort, pain, inflammation and often infection. A toenail is, after all, a foreign body which, once it starts growing INTO tissue, the body wants to reject. One reason I think we see this most commonly in cats is because they are furry. Hairy toes mean it can be hard to see the nail. The second of course is that many cats are “foot shy” – they don’t like their feet being touched, and they’re variably direct about telling you so. Ingrown toenails are seen most commonly in older cats, I suspect because arthritis means it can be hard to bend and flex to reach and groom the toes – and it may be harder to use enough strength when employing a scratching post or similar to remove the offending nail. The sum total of this is a nail which keeps growing. So I thought I’d show what such a nail can look like and demonstrate how big they can be. This cat had two other ingrown toenails. Note this one extends from the nail bed (top) curling right around and inserting into the tissue of the toe. What to do to avoid these? Regular nail trims. 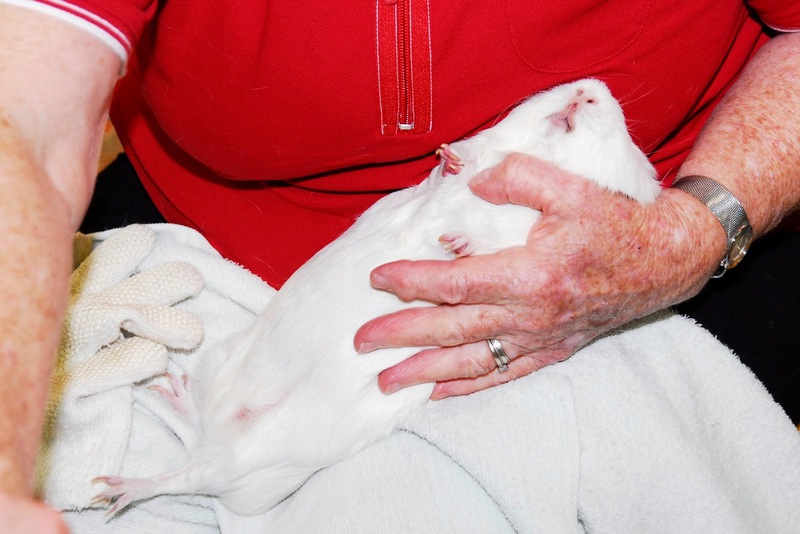 Though I’ve done thousands of them, in most cases I need someone (ie a vet nurse) to hold the patient while I trim the nails (especially guinea pigs). Just about every vet clinic provides a nail-trimming service. Better out than in. A huge ingrown toenail is removed. Note how sharp and pointy that thing is at the end. Not nice at all. It’s well worth getting young pets used to you handling their feet, and trimming nails regularly. They grow back pretty fast. For pets with arthritis, sometimes pain relief solves the problem of overgrown nails if it allows them to weight bear to an extent that the nails can be worn down naturally, or if it enables them to groom properly. Guinea pig in position for a nail clip. This nail clip was being performed by the owner of a guinea pig at a guinea pig show. 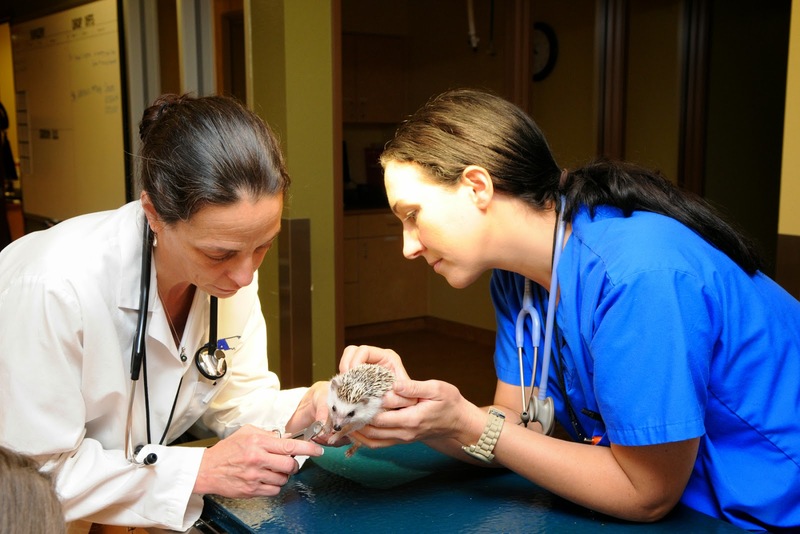 This is another pic from the US (hedgehogs are exotic to Australia). This little hedge is having a nail clip. 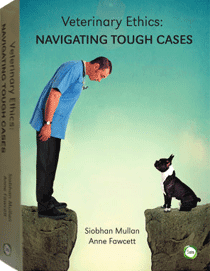 From a veterinary perspective, these are one of those problems that feel really good to solve. 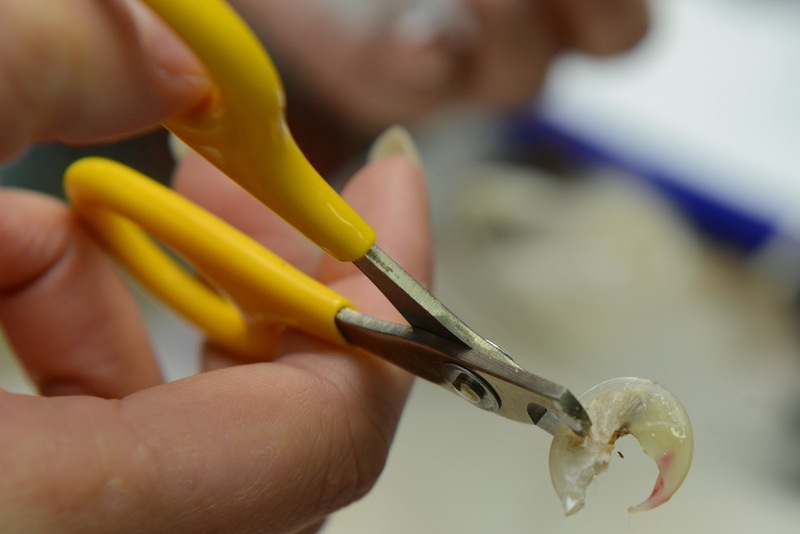 There’s the nail, then it’s gone – and the animal can walk properly again (though multiple ingrown toenails in the same animal at the same time are more common than not so it’s usually a repeat process til they are all gone). I never get bored of removing them (I never get bored of hedgehogs either).